CGH Earth is a five-decade long experiment in hospitality. The properties are mirrors held up to the environments and communities they are born from. Nothing has been added that does not already belong. Because nothing more was necessary. The result, they like to believe, is that experiences as immersive as they are authentic. 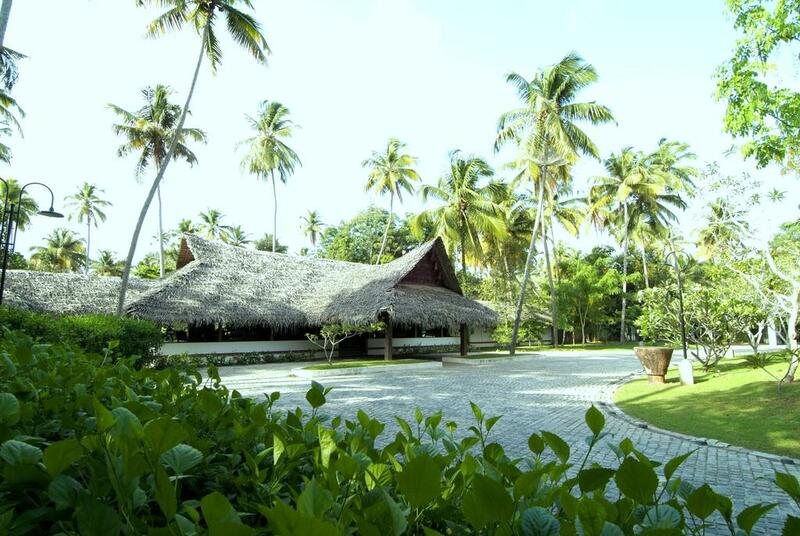 Marari Beach sprawls across 55 acres of lawns, far-flung lotus ponds and whispering coconut groves, all threaded through with stone- flagged pathways. A windbreak of palms runs the length of the property, a protective cover that reduces even the gustiest sea winds to mere caresses. And beyond is a milk-and-azure ocean, fringed by a beach more ochre than yellow, a sand-meets-sea combination you're not likely to find anywhere else. 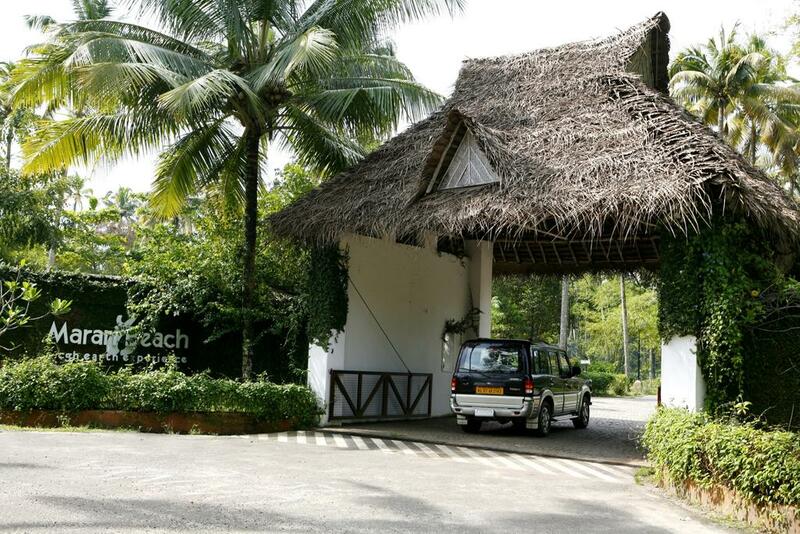 Modelled on the fishermens' dwellings of Mararikulam, your accommodations are a fine balance between traditional form and modern function. The roof is palm thatch, but they've added a concrete base that keeps the air-conditioning in and the odd insect out. 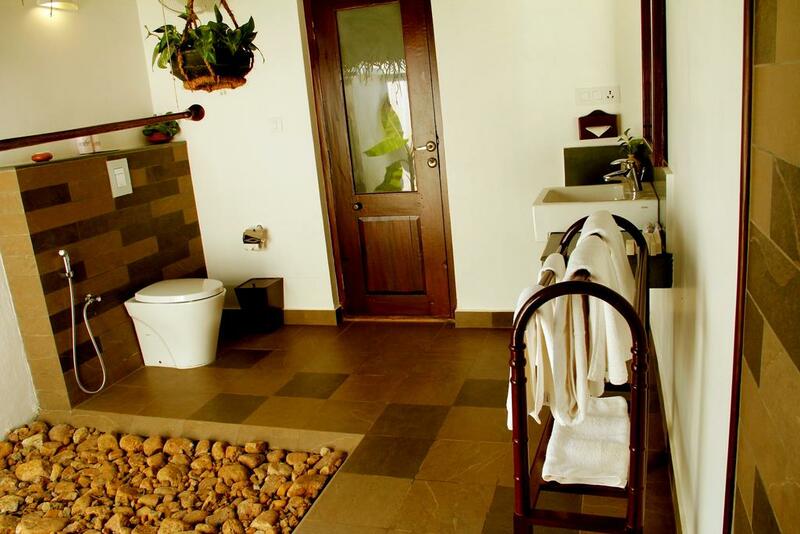 Bathrooms too, combine modern fixtures with the traditional Kerala open-roofed style. And the little taps outside each cottage are another local touch. The fisher folk use them to clean the sand off their feet, and you can do likewise. Barefoot is a great way to be at Marari Beach, even indoors! 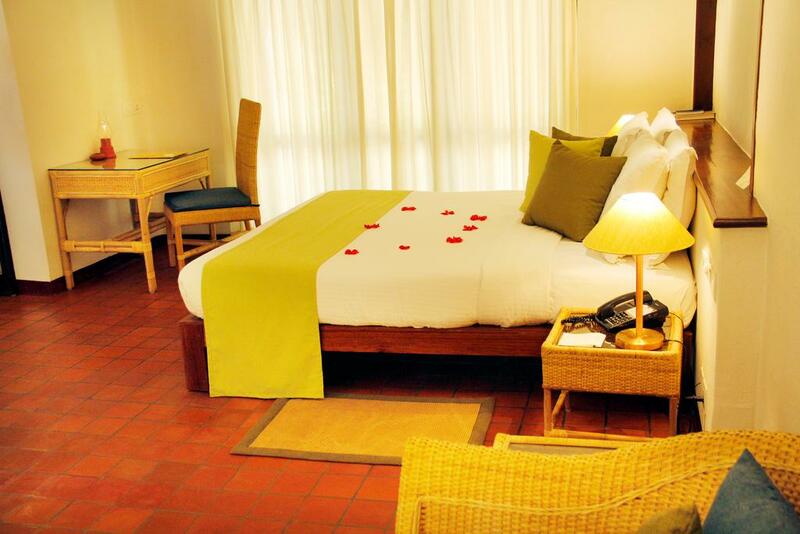 Cottages like the one they've just described form the standard accommodation, but if you favour more private luxuries, maybe you'd like to pick one of the pool villa cottages, which are suite-style and have a secluded walled courtyard with a private pool all your own. The secret of the tangy fish curries of this part of the world lies - literally - in the soil. For it is earthenware pots, placed on a slow wood fire and simmered, that give the food its unique texture and succulence. 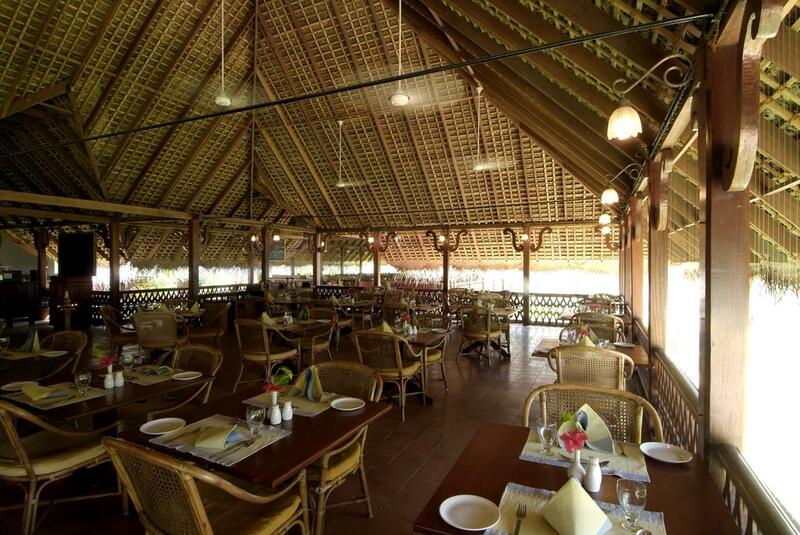 At Marari Beach, you can enjoy the simple traditional dishes of the fisherfolk (along with, of course, a variety of international cuisine favourites) at their verandah- style restaurant. Dinners are candlelit, often with live music (the traditional kerala trio comprises a harmonium, flute and tablas). And the beachside features an evening grill serving up some select seafood, always fresh, always seasonal. The bar at Marari is in a beautiful 200-year old building, deep in a thicket of trees and lotus ponds. 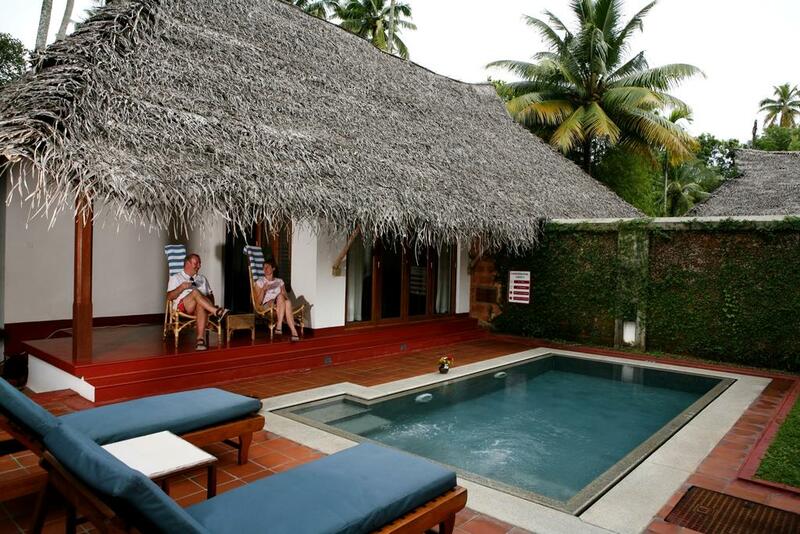 Enjoy a 'Panchamrutam' (a heady local concoction) in the midst of colonial -style spaces and serenity. If you can't tear yourself away from the beach, you can get a tall cold one down there too, at the Beach Shack.